I didn’t know what was going on at first. The canopy of parachutes drifting down to PUBG’s Sanhok map was so tightly packed that those of us dangling like puppets beneath it were practically tangled up with each other. It made me wish I could swipe, scratch, and frantically kick at others players during the descent, like a rabid kitten suspended by the scruff of its neck. Instead, we all made it to the ground unscathed, where I found myself surrounded by three other players. I didn’t last long. This became a cycle that repeated itself across my first few games on PUBG’s new compact jungle map. Is Sanhok enough to ensure PUBG is still one of the best battle royale games? Sanhok’s size inevitably has an impact on the pacing of the game. Following up on the deathmatch-like War Mode that was added a few months back, it feels like the latest move to make PUBG a little more approachable to prospective players. PUBG’s first two maps, at 8x8km each, are far too vast for 100 players to be engaged in non-stop action. The idea of waiting ten minutes before seeing another player, or making it to the last ten players without getting a single kill (one of my greatest talents) is a turn-off for many, and a likely factor in the success of Fortnite’s more in-your-face chaos. But for PUBG preachers like myself, every second not encountering someone is a moment of escalating suspense; every crunchy footstep on grass, every snap of gunfire, every door creaking open feels like a build-up to that terrifying, monumental moment you finally face off against someone. 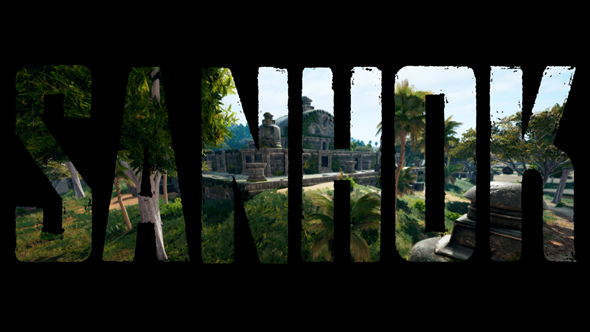 Sanhok is an attempt to marry some of that trademark suspense with a bit of arcadey immediacy, and at first I was sceptical that it would pull it off. My first couple of games were harrowing, as I seemed incapable of finding a landing spot that wasn’t being viciously contested by a couple of other players. That, coupled with the long wait times to jump into a new match, left me feeling shortchanged by the speed of my demise (if you’re having a similar experience try our PUBG Sanhok tips). On the previous maps, Erangel and Miramar, it’s up to you whether you jump straight into the fray or take it slow by dropping into a hovel at the edge of the map. As your life is at least partly in your hands, if you’re killed while fighting for rare loot at the start of the match, you can’t help but say ‘fair enough, it’s on me’. In Sanhok, I was forced into hopelessly fly-punching fellow parachuters immediately upon landing, and dying quickly for my pathetic efforts. It was a frustrating start but in time it all started to click. 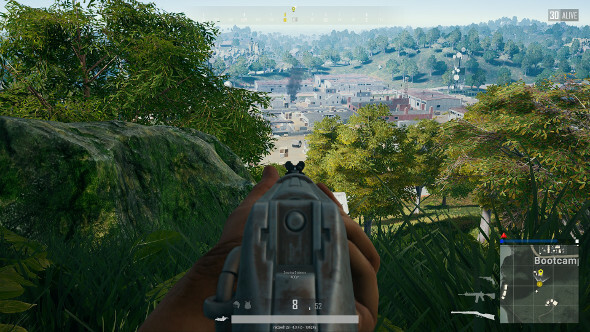 As the little rule changes unique to Sanhok started to come into play, I discovered that this map isn’t designed only for those who like to ‘chute into a big town together and have a shootout. Loot is much easier to find in Sanhok, so you don’t need to head into the big named settlements or even mid-sized villages to get stocked up. Even landing in the more obscure one-two building backwaters you’d avoid in bigger maps will provide you with a solid loadout. The map is brimming with cover and vantage points – from hilltop hamlets to solitary watchtowers – overlooking larger settlements, offering plenty of opportunities for more cautious players who like to keep at a distance. Even a solitary shack in the woods can greet you with an SMG on its doorstep, while the new weapon, the QZ95 assault rifle, lays about in most buildings – it’s a great addition to the best PUBG weapons. The increase in weapon stock gives Sanhok an immediacy PUBG hasn’t had before. It has the effect of casting off the frustration of the bigger maps where you can ransack several houses to find nothing but a Micro Uzi and four shotgun chokes. This means you rarely go under-equipped in Sanhok so you’re more likely to settle into your preferred loadout and playstyle than on Erangel or Miramar. Subsequently, each encounter with another player is often a well-balanced conflict during which both players are armed and ready for combat, untainted by the sense of injustice that comes when one of them didn’t get lucky with the loot. The new weather effects – rain and fog – don’t come into play all that often, which may or may not be an attempt to mollify the many players who berated PUBG’s fog when it was tested last year. Thankfully, the fog is no longer the N64-style wall of deadly whiteness it used to be. It’s more subtle now, resembling a kind of humid haze that keeps in line with Sanhok’s verdant Southeast Asia feel. Beyond the weather’s obvious strategic significance, it gives Sanhok a sense of place, and should hopefully encourage Bluehole to test equivalent features in other maps in the future – the occasional sandstorm kicking up like a red zone in parts of Miramar, or high winds causing wisps of sand to winnow across the desert, providing cover when dashing across a plain. Sanhok shows that you can add a little atmosphere and pizazz to a PUBG map while simultaneously adding a new layer of tactical depth to the game. Sanhok also contains DNA from PUBG Mobile’s Arcade mode, or even (say it quietly) Fortnite. From the moment you land, you’re surrounded by the stabs of not-too-distant gunfire and some vehicle brazenly bombing around the map – a bad idea in these tight, cover-heavy confines. It’s urgent and even chaotic in the early stages, but once you find your feet it becomes an elegantly tweaked slant on PUBG’s gritty flavour of battle royale. 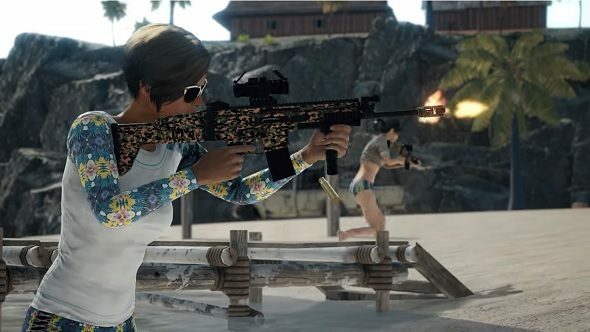 Sure, Sanhok is likely to woo new players by combating the game’s ‘stark and slow-paced’ image. More importantly for those currently playing, though, is that it’s damn fun, and flaunts new ideas that prove it’s ok to bend the rules of the PUBG playbook.